Only walked 14+ km (9 mi) today, but what an adventure. 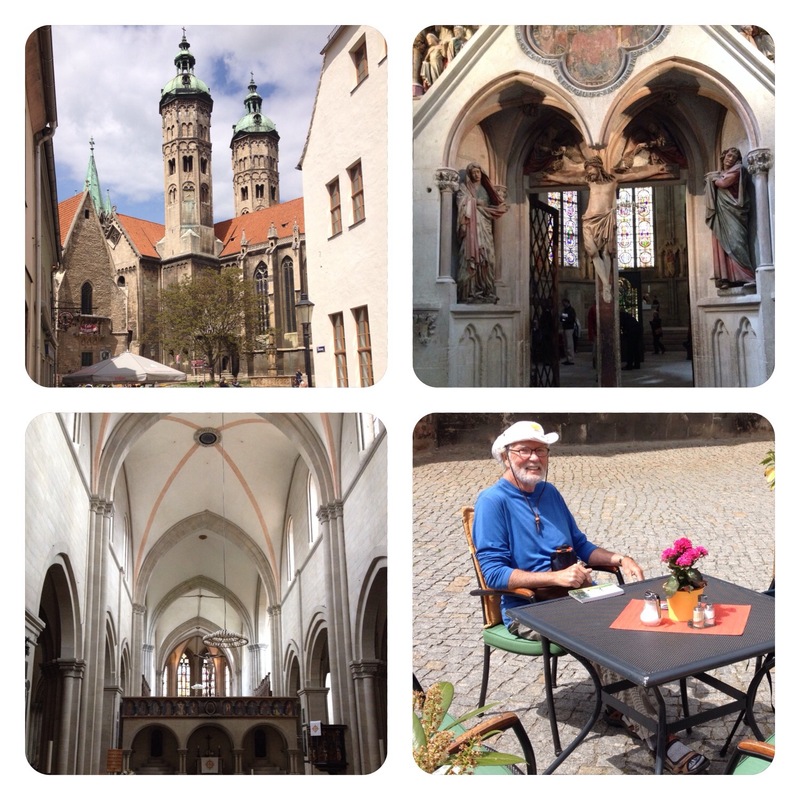 Naumburg has a fantastic cathedral where I spent several hours–I didn’t want to leave, so I had lunch just outside the cathedral; it’s also a world heritage site. The cathedral dates back to the 13th century, an excellent late Romanesque showpiece. But Naumburg Castle itself dates back to around 1000 AD when one of the most powerful men of the eastern Holy Roman Empire, Margrave Eckard I of Meissen, erected his residence here. Again, primarily because this was the crossroads of important trading routes that needed defense. Although I wanted to achieve more mileage today, as I passed through Rossbach, I noticed a St Michaels House, a youth training and education center with 60 beds and more mattresses. I couldn’t miss that. I stopped in and the lady in the kitchen set me up, then even prepared coffee for me and cut me s piece of cake intended for tomorrow; she gave me the pilgrim room. What a reception! HI Kurt: I can see why you stayed so long there. The Cathedral look like a nice marriage of German Romanesque and Spanish Mission style (at least the stucco walls outside). The Naumburg cathedral is beautiful! 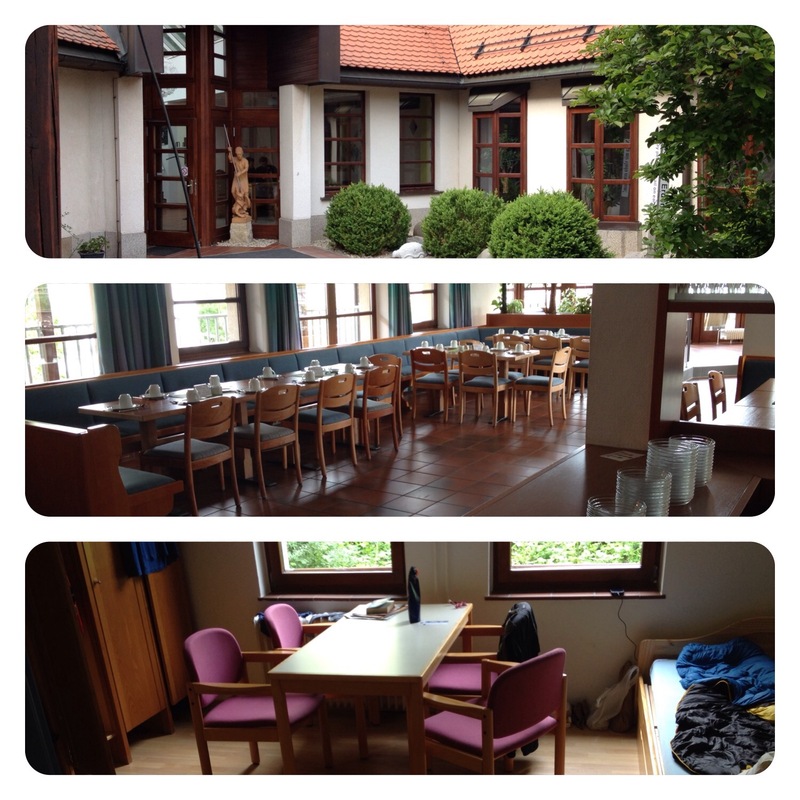 Looks like St. Michael’s house offers great hospitalality: welcoming and comfortable too! It’s really nifty here. The director and I spent several hours over some beer and wine whose grapes came directly from the property here. And the 60 some teenagers staying on the premises right now give it an air of liveliness and hope for the future that I don’t see in some of the older seniors who want to hold on to the old DDR days!